We're going to need a bigger boat! 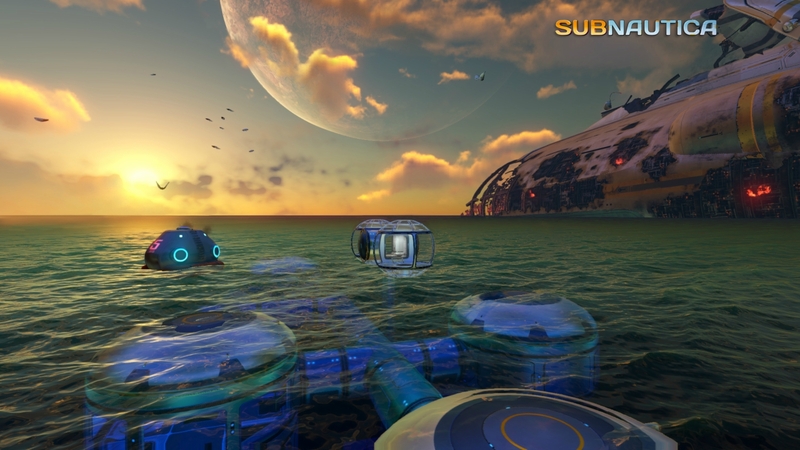 If you suffer from a fear of open water, Subnautica is most definitely not the game for you. The sole survivor of the crashed Aurora on a uncharted ocean planet, you must navigate the vast ocean of planet 4546B, gathering resources to craft survival items and eventually build a means to escape the planet. Originally released in Steam Early Access in December 2014, a full console version has been finally released four years later. 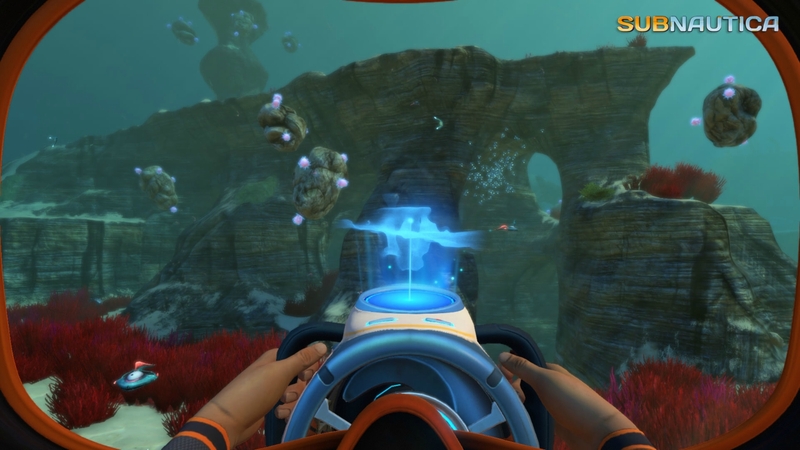 While it’s not without its faults, Subnautica is an incredibly compelling survival game that manages to be both a gentle, relaxing experience and a blood-draining, terrifying one at the same time. There are moments in some games when you wish you could go back to the time when you knew nothing about what lay ahead of you. When you are thrust into a world and given a set of tools to do with as you please, in whichever order you like, and each moment of progression is a moment of pure revelation. Subnautica is one such game. From the very first time you step out of your life-pod into the shallow coral reefs to explore and gather resources, everything has an exciting element of mystery and discovery. Your life-pod is your sanctuary, at least in the early game. A place where you can escape the limitless ocean and have some boundaries to your world. Contained within it is a fabricator that you can use to craft tools and essential items, as well as a radio, a locker for storing items and a first-aid kit fabricator. In true survival game fashion you will be subjected to managing your hunger and thirst levels as well as monitoring your oxygen tank. The early game is very much a staccato process of diving, foraging for materials and consumables, swimming up to replenish your tank and then diving down again until your limited inventory space is full. Managing hunger and thirst is consistently an onerous process, one that is further compounded by a woefully small inventory system that works against you constantly. Materials cannot be stacked, and I spent a considerable time crafting small storage containers that floated rather unattractively around my life-pod while I tried to figure out what to do next and which materials I needed to concentrate on to make my progress a little easier. If you are stuck, most of the information you require is held within your PDA system; here you can see technology you have unlocked through exploring and the materials required to craft it, as well as repeats of the various pieces of audio information you receive and an extensive wiki. Most of the important information and clues as to what to do next are held within the Data bank, which isn’t my preferred method of tutorial information delivery as it is extremely easy to miss things. I spent more time than was really necessary aimlessly swimming around wondering what to do next. Crafting is a fairly straightforward process. Your life-pod contains your fabricator, and you can craft food as well as equipment like increased capacity oxygen tanks and tools to help you survive. The fabricator will also allow you to build other crafting stations that in turn provide you with the option to build vehicles for faster traversal around the world, and diving to more extreme depths. In order to build the more complex items such as a reactor to power your sea base or a mobile vehicle bay to craft a Seamoth, you will need to locate and scan various parts scattered along the ocean floor to find the blueprints. This process of scanning to unlock crafting recipes for tools that will allow further exploration can make the pace feel a little uneven, as there always seems to be one last blueprint you require, or else the materials you need are located just slightly deeper than your Seamoth can withstand. The aimlessness at times would be a huge issue if Subnautica didn’t have such an incredible atmosphere. There are several different and unique biomes to discover, each with their own distinct feel and resources as well as dangers that really make exploring interesting. Underpinning everything you do is a surprisingly compelling story hook that drives the exploration forward and keeps the momentum trickling on. Whilst Subnautica isn’t a graphical powerhouse (it suffers a fair bit from terrain pop-up), the visual distinctiveness of each area can be quite beautiful, but as you dive deeper and deeper that beauty is complemented by a genuine sense of dread, helped in no small part by the superb audio. Underwater everything has a subtle, muted effect with some excellent directional sound that indicates the location of potential threats. The audio also does a great deal of the heavy lifting in creating a genuinely terrifying sensation at the greater depths with the low rumbling of giant leviathans lurking in the gloomy shadows. Each biome, as well as being visually distinct, also has its own musical accompaniment that does an excellent job of indicating the relative dangers of each area. Pulsing beats and synth waves escalate the sense of tension so that everything you do feels urgent and desperate. 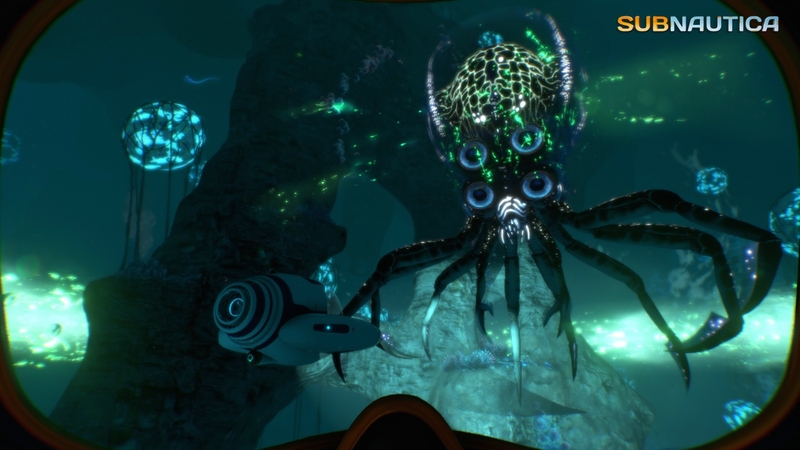 Every moment outside of the relative safety of your Seamoth or larger vessel, the Cyclops, feels risky and tense, the gloomy, murky waters hiding gigantic beasts. Frustrations with the pacing and some of the more gamey survival mechanics aside, Subnautica is an excellent survival game. That sense of exhilaration and wonder when you first exit your life-pod and begin to eke out some kind of existence cannot be understated. Couple that with an interesting story hook to drive exploration and some wonderful environments in which to do so, as well as a truly stellar soundtrack and simple but effective crafting system, and you have one of the very best examples of the genre. 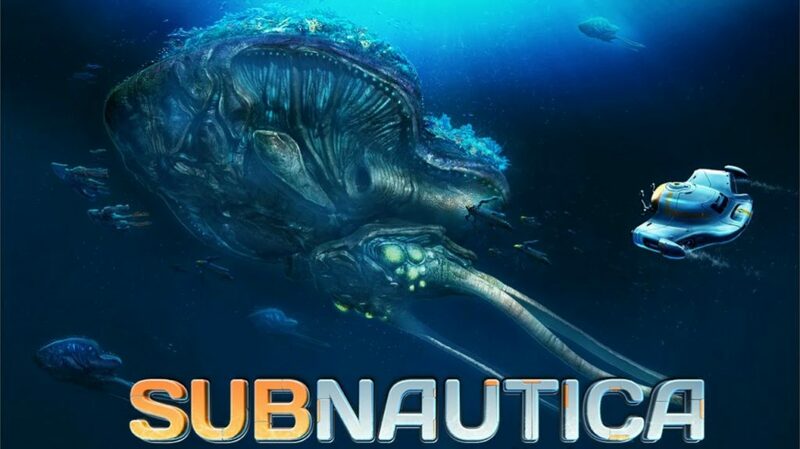 Subnautica is not without its issues, but it successfully manages to combine a strong sense of exploration and discovery with an interesting story hook and an exceptional soundtrack to make it one of the very best examples of the genre.